USB-C cables are the latest USB connections for data transmission and more recently, USB C Power Delivery. Coolgear’s USB C Cables are manufactured in USB 2.0 (489Mbps), USB 3.1 Gen1 (up to 5Gbps) and USB 3.1 Gen2 (up to 10Gpbs) for Laptop, Desktop, and Tablet data transmission or power delivery. We have your USB 2.0, USB 3.0, and USB 3.1 Gen1 application needs. 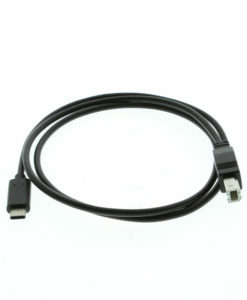 Our USB C cables provide connects for USB C to Micro-B, Type-C Male to C Male, Type-C Male to Type-B. Coolgear’s newest USB C cables provide PD with built-in E-Marker chips, a great source of power to type-C enabled laptops, tablets, and more.